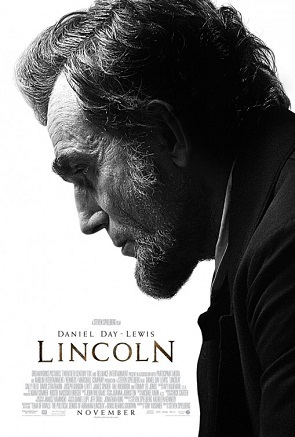 Lincoln, staring Daniel Day-Lewis, is a rare glimpse into a fascinating piece of history. It tells the story of Lincoln’s attempt to get the thirteenth amendment to the US constitution (abolishing slavery) through the US Congress in the last months of the civil war. Lincoln was insistent the amendment be passed before the South surrendered, and their pro-slavery delegations re-joined the congress. Others felt the South could be better persuaded to surrender if the amendment did not pass, leaving their economies to manage with the help of slavery. The acting is superb. Daniel Day-Lewis comes across as a thoughtful, folksy president who enjoyed telling sometimes meandering stories, but was nevertheless a moral and determined man. Sally Field as his wife does a good job as a woman almost over the edge of sanity. (In real life, she was committed to an asylum after Lincoln’s death, but succeeded in getting herself released.) There is tension in the Lincoln family over whether son Robert should be allowed to join the army. Lincoln and his wife are opposed to it, fearing his death, but Robert ignores his parent’s wishes, and joins in the last few weeks of the war. He argues that if he does not join he will be ashamed of it for the rest of his life. The film seems to contain a lot of shots done in a bluish-grey light, with plenty of shadows and partly lit faces. It avoids the temptation to dwell too much on the blood and guts aspects of the war, although we are treated to the sight of a wheelbarrow of amputated legs being dumped in a rubbish pit outside a hospital. For a non-American who had no idea the troubles Lincoln had getting this amendment passed, the film was an eye-opener. It’s well worth seeing, for anyone with even the slightest interest in one of the great historical events of the 1800s.